BrainFizz - Routing, Making, Custom projects & Training. : Saw Horses: An old and undervalued asset, so I adapted them to suit a more up to date working approach on site. Although they don't clip together like the Stanley ones, they do fit tightly together if you offset them slightly as the stops for the folding legs fit nicely into the other, and with the carry handles on the side rather than the top, you can easily carry them as a pair - leaving one hand free. so thats the first box ticked. They also fold up smaller, and fit into the original space under the floor of my van/truck. The main reason I like to carry this design with me is it leaves more space higher up for tools and materials. 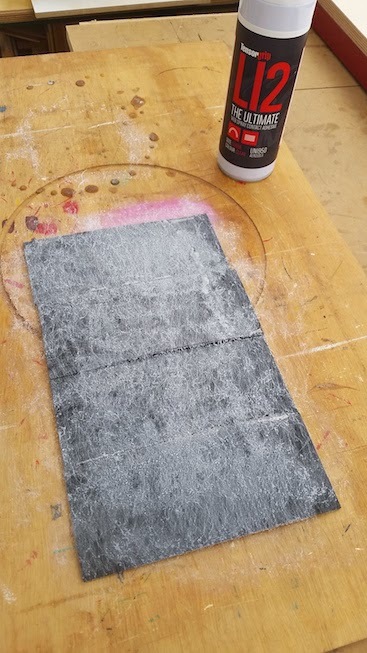 An added bonus is that they have a non slip rubber mat on the top surface, which will be great when hanging pre-finished or primed doors, not only will it stop it moving, but should also help to protect the surface of the door. 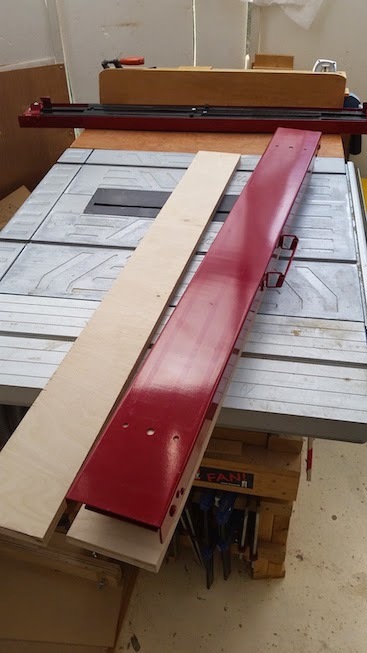 As it turned out, the biggest plus for them turned out to be the biggest weakness in my planned usage.....These sawhorses are made of metal not plastic. This means that although they are smaller, so not noticeably different in weight, they are not going to take kindly to being cut through like the plastic ones. 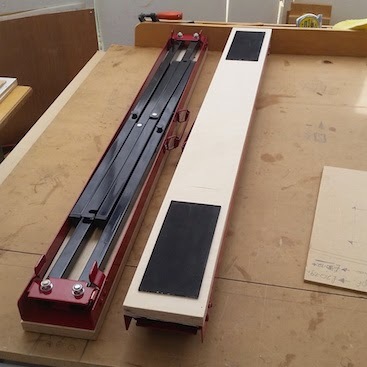 I now like to use a track saw to cut doors to size, and for general sheet goods cutting, and this obviously means the likelihood of trashing bases on every cut. The first thing to do was measure some sacrificial pieces to fix to the top of the saw horses. You can see above that there are fixing hole pre-drilled into the metal tops. First job was to remove the rubber pads. The first one came off easily with some careful peeling, in one single complete piece, the second however - and probably predictably, decided to tear at every opportunity, and came off like a security tag from a 1995 Oasis Album from woolworths! Although rather annoying, not the end of the world, as it's similar to the stuff you get on the bottom of mouse mats, and so should be easy to source at a later date. I used 3/4" Birch ply, as it's all I had in a suitable size. MDF would have been my preferred choice, but for now it's perfect. 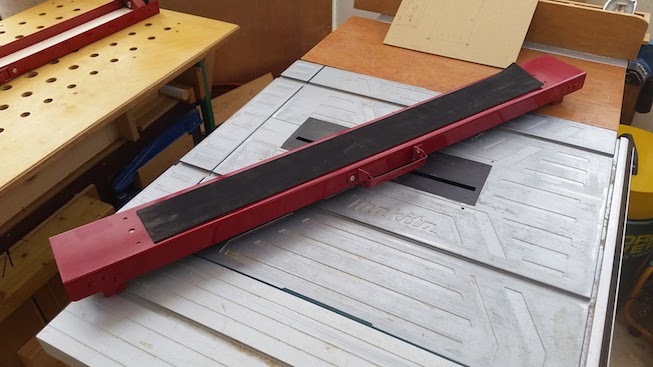 I actually cut a 1/4" piece slightly thinner and fitted it to the inside as well, this was to give it a bit more torsional straight, and also had the added benefit of effectively having less screw into the top piece and reducing the chances of cutting into them still further. Since I had only managed to salvage one of the pieces of non slip "stuff" I decided to cut it into 4, and reattach them anyway. I used L12 spray adhesive - It's good stuff, and there was some still in the can. Any contact adhesive would do. In future I'd spray both surfaces, then attach. But here I sprayed only the non slip rubber. It's holding well, and saved me having to mask off the plywood. I originally wanted to make the top pieces of ply slightly longer, possibly with MFT type holes in for clamping, but there wasn't quite enough room in the allotted space, so I left these off for now. 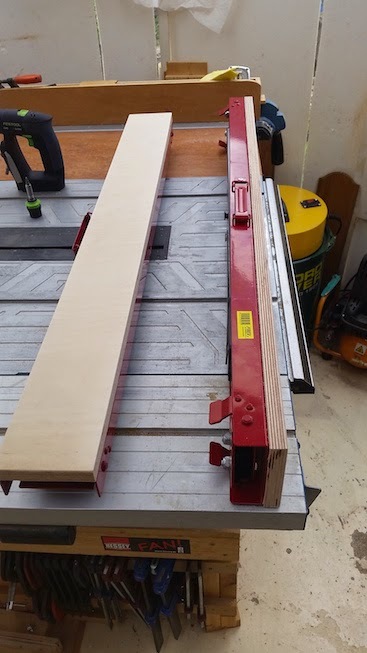 I may in the future add side pieces to the ply, it might be handy for clamping operations down the line, but I'll see how things go 'as-is' for now. 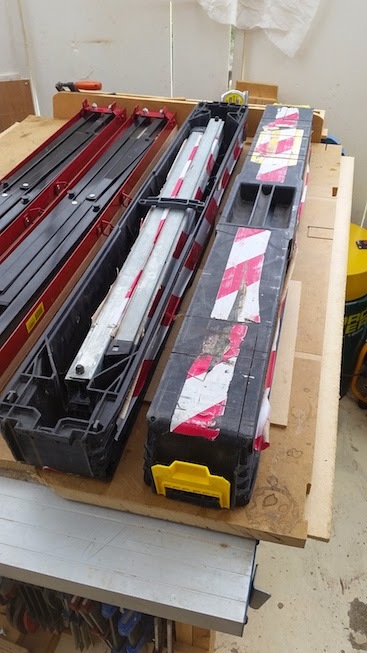 These saw horses will be part of a kind of system I'm working on for both site work, and also so I can work more easily outside the workshop with the better weather just around the corner. Make sure to sign-up and follow the site for these updates as they come out. And I'd love to hear your thoughts, ideas and even experiences of your own on this, so please leave a comment or email me if you have any ideas!